When you need to escape from the difficulties of your busy life, your boat or watercraft are always waiting. Whether you use your boat or watercraft to fish, race, or just cruise on the water; make sure you are protected with Menath Insurance so you don’t have to worry when you’re relaxing. Personal liability coverage in the case of accidents. Physical or structural damage to your boat or personal watercraft. Damage to the motor of your boat or personal watercraft. Medical costs due to accident or injury caused by your boat or personal watercraft. Fuel spill or other environmental liability based on damage to natural wildlife. Salvage coverage and wreck removal in the event your boat or watercraft are stranded on site. Make sure others are covered in the event of an accident. This covers damage to another boat or watercraft. Damage to other property caused by your boat or watercraft. Bodily injury/death of another person caused by your boat or watercraft. Multiple towing options, on and off the water. Coverage for your personal property in the event of theft, damage, or accident. Coverage for your fishing equipment in the event of theft, damage, or accident. Coverage against injury to you caused by an uninsured boater or watercraft. Damage caused by storms and other natural disasters. This can include storms, snow, ice, flooding, hail and many other natural disasters that can cause harm to your boat or watercraft. Let the passionate and experienced agents at Menath Insurance work to protect your boat or watercraft with our insurance coverage today. 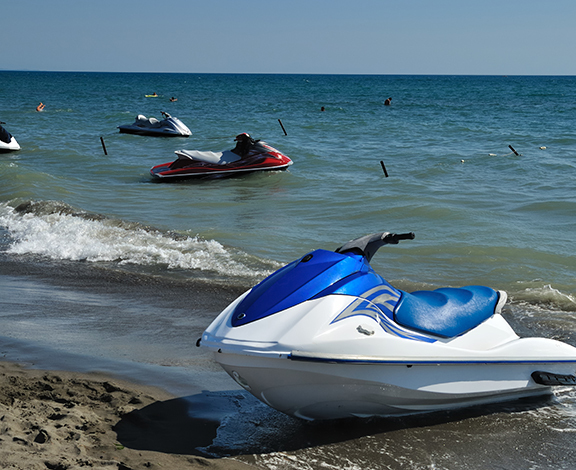 We’ll ensure that you are fully protected in the event of accidents or damage to you, your passengers, or your boat or personal watercraft. Call or click for a free quote today. Passing a boat safety course.